Nestled on the 29th floor of the luxury condominium community of Las Olas Grand in the fabulous city of Fort Lauderdale, Florida is this remarkably updated riverfront condo. Capturing a panorama of river, ocean and city views throughout, this thoughtfully upgraded Las Olas Grand stunner unfolds over 2,100 square feet of living space with 2 spacious bedrooms and 2.5 bathrooms. Impeccably appointed, the gourmet kitchen offers a number of deluxe features including Poggenpohl cabinetry, sleek granite backsplash and countertops, a wine cooler, double ovens and a top-of-the-line Sub-Zero refrigerator. Additional luxuries include a living room with floor-to-ceiling windows, formal dining room, Master Suite with custom closet and whirlpool spa, a breakfast nook overlooking the river and two generous glass enclosed terraces showcasing amazing views of Fort Lauderdale and beyond. Additional features include gorgeous wood flooring and garage parking for one car. 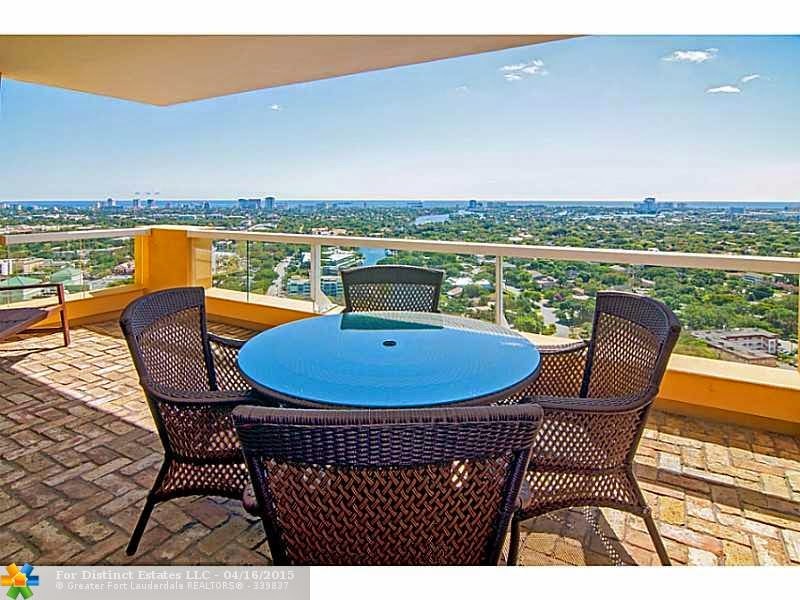 411 N New River Dr E # 2904 is located in Fort Lauderdale and is currently asking $979,000. This Las Olas Grand listing is courtesy of D'angelo Realty Group Llc MLS# F1335824. Las Olas Grand is a riverfront condominium community located in the heart of Fort Lauderdale, Florida. Residents of this pet-friendly condo community indulge in a 5-star amenity package including 24 hour front desk and security, valet and garage parking, concierge service, billiards room, business center, sauna, heated pool and spa, state-of-the-art fitness center and a beautifully designed private residence club. Perfectly situated within the sought after Las Olas neighborhood, residents of Las Olas Grand enjoy being just steps away from world class shopping and waterfront dining. Fort Lauderdale Beach, The Galleria Mall and Miami's iconic nightlife are also just minutes away.